The women workers of an electronics factory in Cavite walked off their jobs this afternoon as a make-or-break meeting between management and the union ended without an agreement. 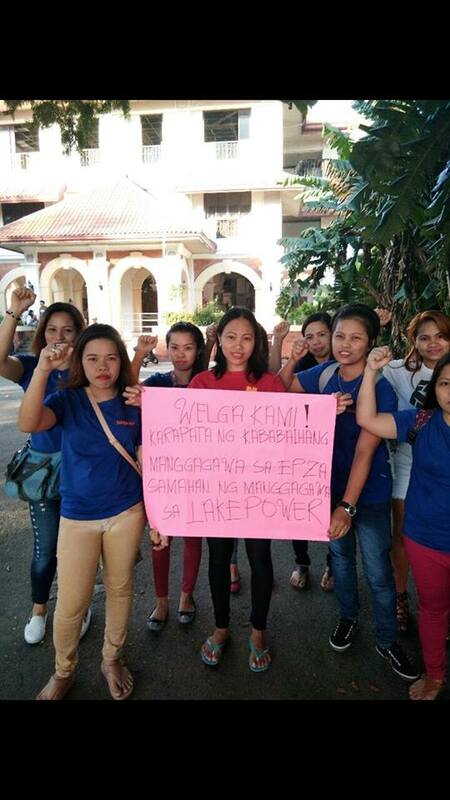 The workers of Lakepower Converter Inc., located at the Cavite Economic Zone, declared a strike due to union busting and unfair labor practices of the company. “We tried for more than a week to resolve the issues of illegal termination and suspension of unionists and other discriminatory acts against workers but management was not willing to settle the grievances in good faith. Thus we have no choice but to go on strike,” declared Mercy Tanginan, president of the Samahan ng Manggagawa sa Lakepower Converter Inc.
“Workers are unionizing to improve their working conditions but are being met by extreme interference from capitalists unwilling to share the fruits of production,” asserted Rene Magtubo, PM national chair.